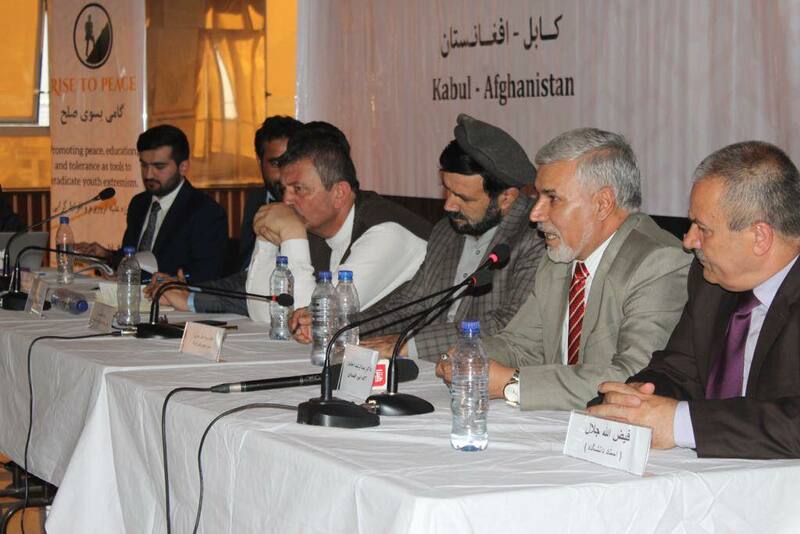 A lateral approach to help the education sector and the policymakers to initiate programs to end the Child Terrorist. Today, we live in a complex world with the global threat of the nuclear weapons, climate change, poverty, racism, and more dangerously, the menace of terrorism. Terrorism has increased in the last decades, especially, after the Global War on Terror in 2001 by “82 percent in Afghanistan, Iraq, Pakistan, Nigeria, and Syria.” And there has been a hefty number of “150,000 terrorist attacks between 1970 and 2016.” Without going to the broad idea of what is terrorism, how terrorist groups originated, who sponsors them, and what drives them to do this act of violence, I would like to talk about the specific topic of the Rise of the Child Terrorist. In this article, I examine the root causes of the child terrorist and how likely is that the security, poverty, and education has a crucial role in this process. Lastly, I will propose and advocate for policies to prevent these vulnerable youths from joining the terrorist organizations. Children are like the branches of a tree that can be easily twisted, broken, and taken away from its place. According to the Human Rights Watch, “children are uniquely vulnerable to military recruitment because of their emotional and physical immaturity. They are easily manipulated and can be drawn into violence that they are too young to resist or understand.” The term “child terrorist” might be new but the use of children as foot soldiers goes back to centuries where the children have been “involved in military campaigns – as child ratings on warships, or as drummer boys on the battlefields of Europe.” What is more terrifying nowadays is the use of children as fighters in the actual terroristic attacks such as bombing, suicide attacks, beheading etc. Historically, children have been fighting for the numerous political and religious groups in many countries around the world. Per the UN report, “tens of thousands of children are recruited and used as soldiers in armed conflicts around the world. According to the UNICEF, “in 1988 alone, they numbered as many as 200,000”. In Uganda in 1986, “the National Resistance Army had an estimated 3,000 children, many under 16, including 500 girls.” Moreover, the children have been recruited, brainwashed to fight for the rebels in Cambodia, Myanmar, Mozambique, Afghanistan, Pakistan, Iraq, Syria, Libya and many other countries that are going through a sort of war. Education: knowledge is power and if you don’t have one, you are in trouble. children are less likely to understand what is wrong or good. They are easily manipulated and drawn to violence and any other terrorist attacks. Education plays an important role in shaping a kid’s future. “available evidence suggests that individuals are more likely to commit property crimes if they have lower wages or less education.” (Krueger and Maleckova 2003). In the poor and unstable communities, terrorist groups use the hateful information to manipulate children to work for them. For example, the incorrect teachings of Quran, the Islamic religious book by the Taliban in Pakistan, Afghanistan, Syria, Iraq and many other countries to recruit foot soldiers. If the youth has a better knowledge of the Quran and what is it to live and learn about other cultures, they will not kill another human being. Terrorist groups use this to their advantage and use the powerful and warm-blooded youth as foot soldiers to accomplish their missions. Terrorist groups use propaganda videos and other publications that motivates the children to fight and resist against the “infidels” and “occupiers” to save their homeland and the religion. Poverty: One of the main causes of the rise of Child Terrorist is economic difficulties. In poor nations, youth are more likely to do illegal work to earn money and support his/her family. The economy plays a crucial role in one’s living situation. For instance, the local governments do not hire youth under 18 but ISIS and other terrorist groups do. ISIS “pays fighters, roughly $400 a month which is more than the Iraqi government officers” (Washington Post 2015). Use of force in the unstable environments: in the insecure environments, members of the terrorist organizations force the families to send their children to fight for them. The victims have no choice but to send their loved ones away. Either way, they are the victim of the terrorist groups. For example, in the local villages of Afghanistan, people are forced to feed, shelter and even give their animals for transportation and their children as foot soldiers. Security plays an important role in keeping the citizens of a nation safe while fostering economic and development programs to succeed and make the living better. Without security, it’s impossible to implement such projects to help the citizens of a nation. Am Islamic State militant shows a child how to use a gun in Kunar province, Afghanistan. Rise to Peace non-profit organization utilizes education and knowledge as tools to eradicate youth extremism. At Rise to Peace, we believe the root cause of this evil is the recruitment of vulnerable youth with hateful propaganda and misinformation as to why the “way of the gun” is the only option to succeed and find a meaningful life. Rise to Peace counteracts this propaganda with the “way of the word” as to why education and understanding other cultures and religions are the only true path to a peaceful and fulfilling life. The “Interview Project” help us to understand the root problems of terrorism and present our suggestions or policy revisions that will assist subject matter experts and policymakers create more effective counterinsurgency strategies. 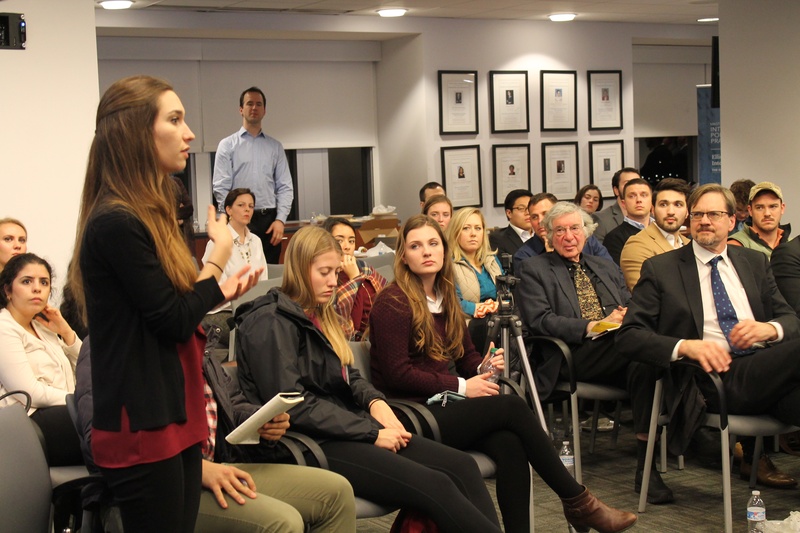 Furthermore, we bring experts in the field to engage with students, the public and government officials to prevent unsuccessful policies in the future. 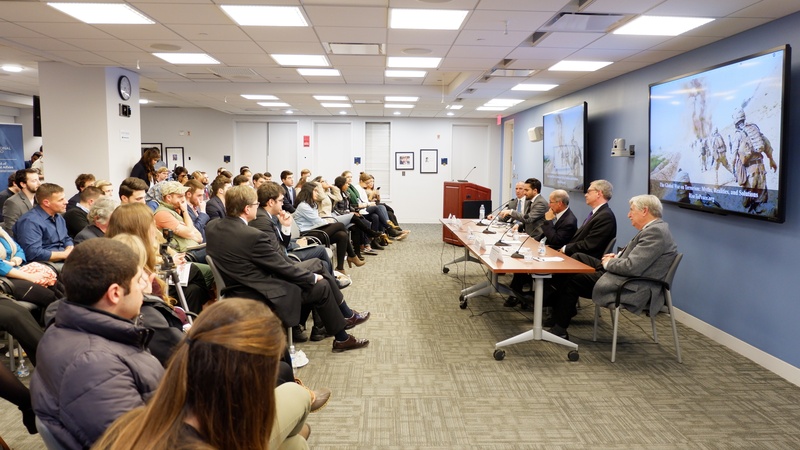 In an effort to do so, we held an Annual Symposium where we host a speaking series to provide an in-depth analysis of radicalization and extremist recruitment, and what can be done to blunt these efforts. 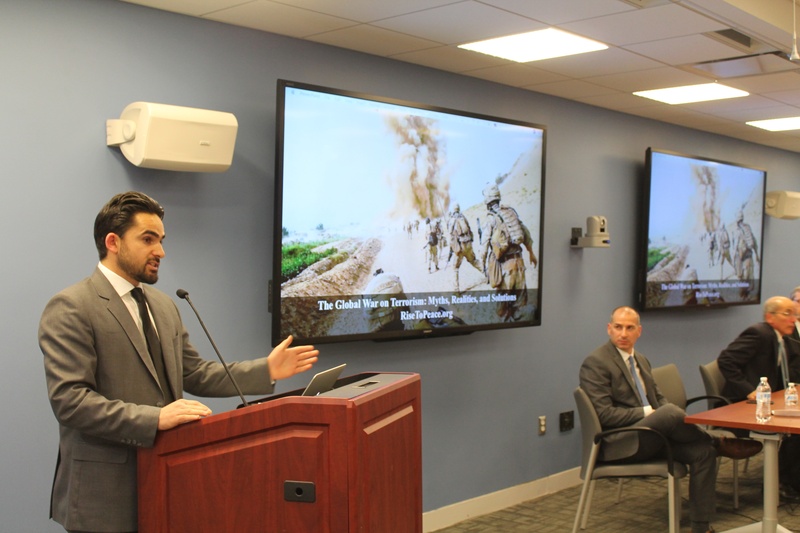 For example, the first “Interview Project” Symposium, hosted by Rise to Peace and co-sponsored by the George Washington University is in December 2017 in Washington, D.C.
During this discussion, the panelists will examine the post-9/11 “Global War on Terrorism” and address questions such as: Have military operations in Afghanistan, the Middle East, and Africa suppressed terrorist safe havens? Have domestic surveillance efforts helped or hindered internal security in the United States? Have diplomatic efforts fostered cooperation among the United States and its allies to thwart the rise of extremism? 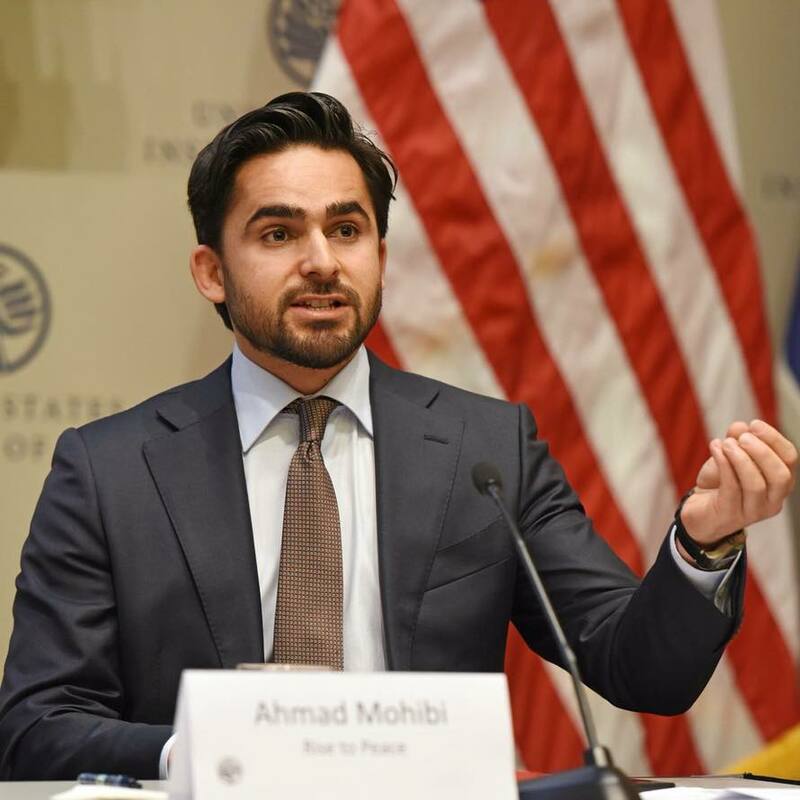 Through Rise to Peace, we want to contribute to the policy-making process in which the U.S. government and International community formulate effective strategies to bring peace and defeat terrorism. Rise to Peace is dedicated to educating others on the dangers of extremism and terrorism, with an emphasis on how these groups target and recruit the youth. 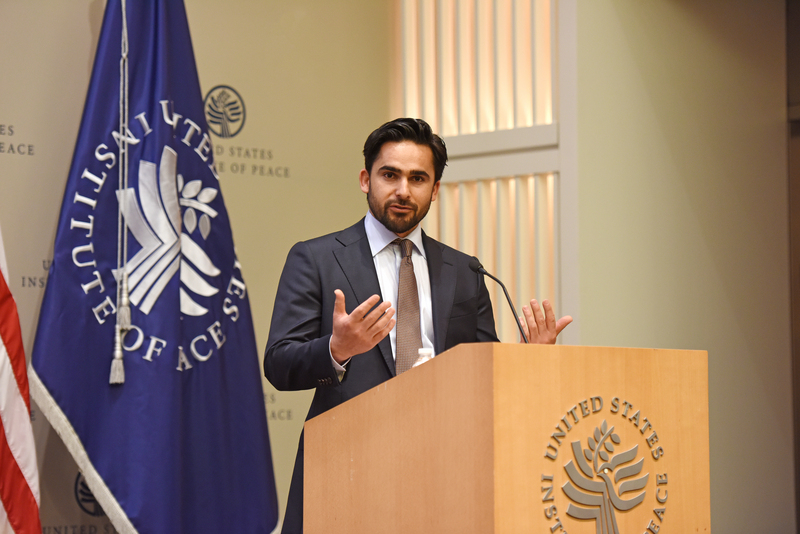 Rise to Peace fosters educational programs and initiatives to give strategic insights to nations in order to resolve conflicts and defeat terrorism. We believe that schools, jobs, understanding other cultures are the true keys winning the war on terror, not guns, bombs, political manipulation for greed, nor body counts.